Your mobile devices are good for many things: always being able to keep in touch with your friends and family, having the news of the world at your fingertips and always having a little game or two you can enjoy in your down time. But did you know that your devices can also help you become better at arts and crafts? It’s true. There are a lot of apps available for all of your mobile devices that focus on the arts and crafts. Apps on everything from painting and coloring to crafty ideas and tutorials on how to draw are all just a short download away. 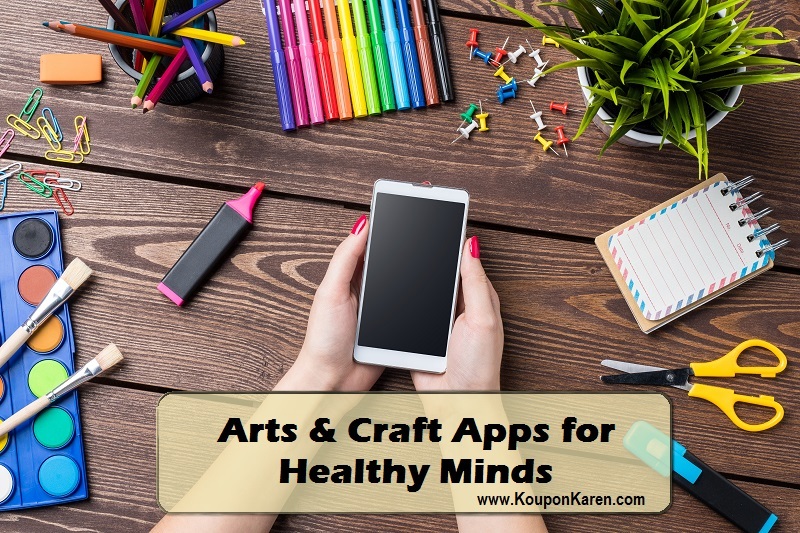 Here are a few cool Arts and Crafts apps you can check out the next time you are feeling a little creative. In case you haven’t noticed, coloring books geared toward adults have become a pretty hot trend: just walk into any bookstore and you’ll see stacks of black-and-white pictures just waiting to be filled in. This coloring book app for android gives you the artistic fun of coloring without the need for pencils and paper. This app has tons of different designs you can color. You can choose from geometric and abstract patterns, or you can find people, wildlife like bears, flowers and even places to fill in whenever you have free time. There are over 25 different palettes you can choose from as well, so you will always find the right colors for your digital masterpiece. Once you are finished, you can easily share your creations online through social media sites or you can email your friends and family. Origami is the Japanese art of folding paper into shapes. It is a fun, creative challenge that people of all ages can enjoy, and this app will give you all the instructions you need. The app features over 70 different shapes that you can create using paper you can find in your own home (if you’re really creative, you can buy colored paper to really accentuate your creations). Shapes include a rose, a lily, a frog, a crane, a duck, a rabbit and more. Each lesson will give your precise instructions with videos and demonstrations. The only thing you’ll have to worry about is where to keep all of your creations! This crafts app is a great way to get in touch with crafty people from all over the world and learn projects from them. You can learn any number of creative hobbies with this app, including cooking, cake decorating, knitting, painting, photography and more. As the lessons proceed, you can interact with your teacher and other students that are following along. It’s a great way to meet creative people and learn how to do anything you’ve always wanted to. You can even download the lessons to take with you anywhere you go. The next time you’re feeling creative, try one of these Arts and Crafts apps and see what you can make! William Cole is an art teacher who thinks it’s important for everyone to have a creative hobby – Even if they don’t think they are good at it. Want more? Amazon has a ton of Arts & Crafts Apps. Check it out!